If you wish to know more about nutrition and health, which is based on trustworthy observations and research through many years, you will have to do your own research. This you can do by reading books and articles, watching films and listening to interviews. Listening to other real people´s experiences told in books, on SoMe, blogs and websites may also add to your information. Schroll down and get some titles. This book for professionals as well as and non-professionals is perhaps the most important book written in recent history. Authored by neurologist and human nutritionist Natasha Campbell-McBride. First edition came in 2004 and a revised one in 2010. Translated into 19 languages. Not only Dr Campbell-McBride explains innumerable interrelated facts that affect our complicated digestive system, in a way that even non-professionals can grasp it. But also she suggests how to deal with an out-of-balance-gut. Therefore the book is constructive, informative, inspiring and uplifting. There is a nice lack of warnings of an approaching dooms day, due to our poor gut health, like it is brought about by other bestselling authors on this topic. No – this book is constructive indeed! 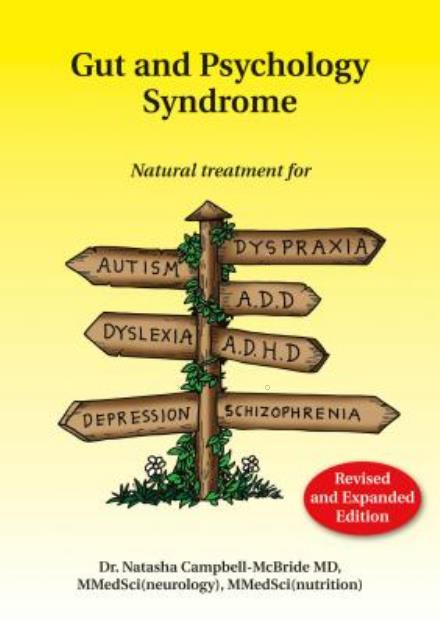 Professionals, who are dealing with patients with these types of diagnoses and more: get the book and read it. Professors and teachers at nutrition, medicine and biochemistry faculties, consider upgrading the literature list for your students and include this book. People with symptoms and diagnoses, that may be related to GAPS – don´t waste your time while you are waiting for the professionals to catch up. Read this book, to become an informed human being, able to take action yourself and find out how to change your lifestyle, in order to find out, if the GAPS nutrition protocol can also be your way to recover. Now more and more research on gut microbes are revealed, it´s about time, the establishment recognizes, that Gut and Psychology Syndrome has a huge impact on health, and – not to forget! – that there is actually a natural way to treat it, or at least ease it remarkably. In this book biochemist Elaine Gottschall (1921-2005) explains about the foundation of the GAPS diet, SCD or Specific Carbohydrate Diet. 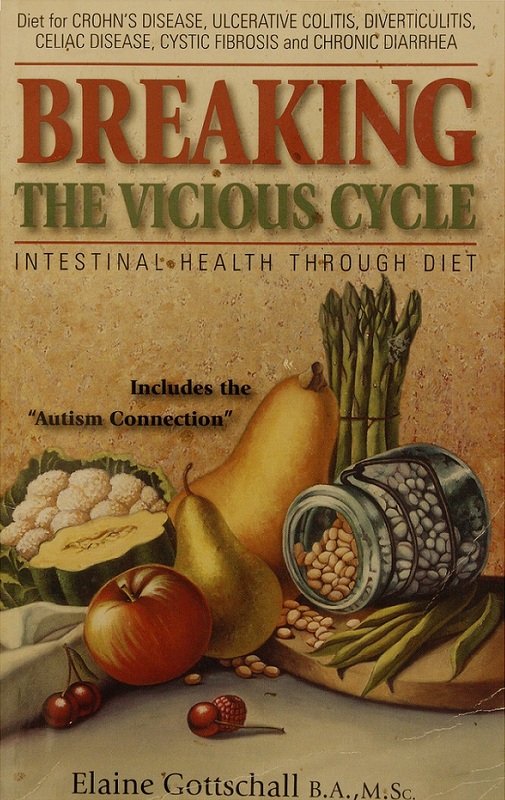 The first edition was published in 1987, titled “Food and the Gut Reaction”. Some years later it was revised and re-named to the present title. The text is easy to understand and makes complicated stuff accessible. These 51 personal stories, edited and commented by Natasha Campbell-McBride, was published in 2013. On a silver plate the collection serves stories about adults or children who have made their healing journey using the GAPS diet. The stories are moving, informative and inspiring, indeed. Although lots of research shows, that the gut flora affects one GAPS-related diagnoses after the other, we still have no trustworthy research in which precisely this diet´s efficiency is compared with for instance Low FODMAP, paleo, SCD or LCHF. What we can lean on until this turns up one day, is experience, personal and clinical. And just as research results are data, so is experience. Especially for parents with children in the initial state of the diet, I guess this book is very helpfull. It´s been a while ago, the author of this book Baden Lashkov completed a serious healing process with the GAPS Nutrition Protocol. In the foreword, she tells about her transformation from complete physical and mental breakdown to being a healthy and well functioning person. It is impressive and upifting reading. 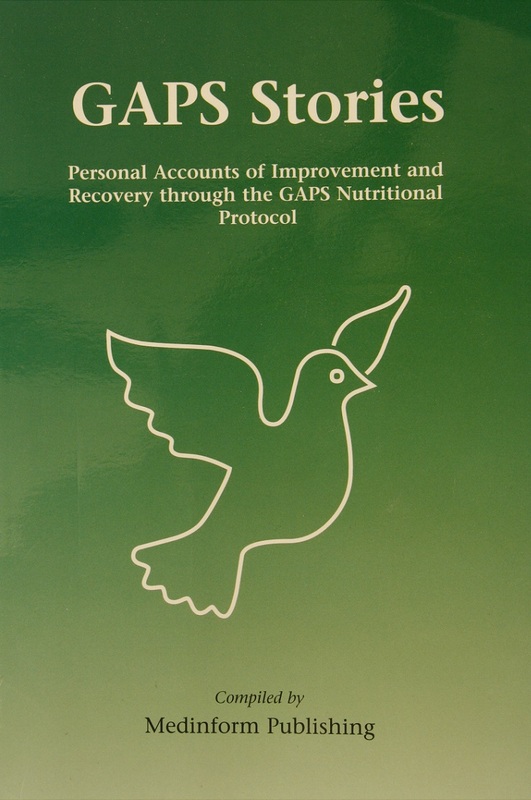 The book brings along numerous informations about all sorts of questions related to the GAPS Nutrition Protocol. However, it seems clear that it is a self-published book. Not because this necessarily means that this is negative, but in this case, certainly editing, a better index and a more accessible lay out would make this guide much easier to use as a practical tool. During the diet, it can be useful to look up what the author wrote about something specific once more, as you can´t remember all details from the first read through. Therefore, I recommend to use post-it-notes as bookmarks, on which you have written your own headlines. Maybe this will make it easier to re-find certain important messages. It is certainly helpful to be accompanied by a good guide on your own healing journey. No one is credited as author of this collection of GAPS-friendly recipes. 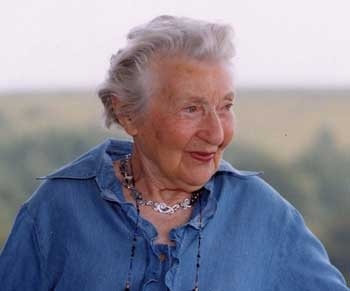 But I believe it is Elaine Gottschall (photo), who wrote them. 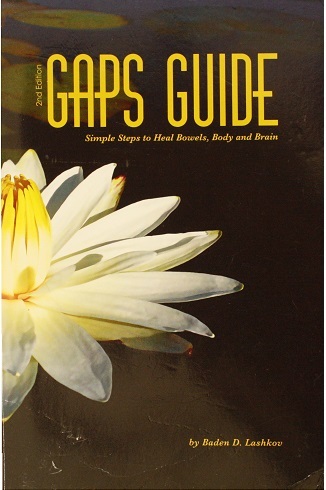 Internal Bliss was the very first GAPS Diet cookbook. It is easy to imagine, what a relief it has been to get hold of it. There is no small talk and blabbering about – just recipes, which I find just great. As with any American cookbook, for people who are used to metric measurements, it takes some maths to use it, though. Cinnamon Kisses, Honey Marshmallows og Coconut Crunch Macaroons, here we go! A small minus in this book is the index. You will need to add many recipes yourself to complete it. A big minus is it´s visual appearance. I suggest the few photos in the book be removed for the next edition. They do nothing but illustrate, that food photography is a higly specialized skill. I don´t understand why diet food shouldn´t be presented just as tempting as not-diet food. The spiral in the back is probably ment as a help to have the book lying open on the counter, but it slowly unwinds……so you will need to wind the pages back again. 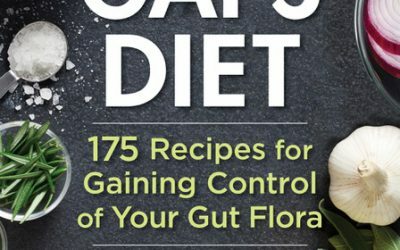 Since 2016 , lots of English/American GAPS diet cookbooks have been published. “The Heal Your Gut Cookbook” and “Internal Bliss”.